Welcome! We are a small independent Genetic Genealogy Research group. 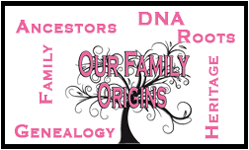 Through our love of genealogy research we have helped many individuals connect with their ancestry. We travel to the United Kingdom and Europe regularly doing genetic genealogy testing and research. DNA testing for genealogy is a relatively new resource for the family genealogist or historian. The use of DNA testing to enhance discovery of living relatives with whom you can collaborate your research began in late 1999. In 2003 I began my adventure into Genetic Genealogy and have been hooked ever since. I am a cofounder of the International Society of Genetic Genealogy (ISOGG) and have travelled internationally speaking to groups about how DNA testing can enhance their genealogy research. I am also a member of many lineage societies at which I have spoken to provide insight into how to use DNA testing with lineage research.